The transition from high school to college – or even from a community college to a four–year university – can bring many changes and adjustments to student life. These include time management, note taking, textbook reading, test preparation, and more. SARC offers a variety of resources that aid in developing these skills. SARC Online is available 24/7 to academically assist all UCF students, online and traditional. Students can connect to SARC on demand and access a variety of online tools and resources to help build strong academic skills necessary to succeed at UCF. The College Level Study Skills Inventory will assist in providing students immediate feedback on their current approach to college level study skills. 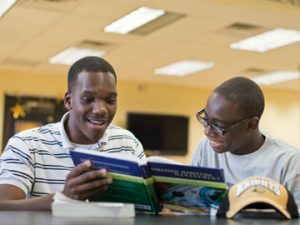 There are six critical study skills college students need to consistently be developing: text book reading, note taking, memory, test preparation, concentration, and time management. At the conclusion of the inventory, each of these skills will be assessed based on the manner in which the questions were answered. Copyright © Dennis H. Congos, Certified Supplemental Instruction Trainer. Learning Skills Specialist – 407-359-4317 – dcongos@ucf.edu.